If you are planning an event to support Testicular Cancer Awareness Foundation, please read the fundraising rules and fill out the Event Application below. If you have any further questions, please send an email to: info@testescancer.org and reference Event Application. Thank you! Applicant confirms, by typing name in the box below (as a signature) that they have read and agreed to TCAF's Fundraising Rules. TCAF is not liable to any party or vendor for any fees, costs or payments of any kind. Applicant agrees to indemnify and hold harmless TCAF against any claims by third parties or vendors for such fees costs or payments incurred pursuant to this agreement. The parties in this agreement are not joint ventures, partners nor representatives of each other and such parties have no legal relationship. Thank you for filling out our event application - we wish you the best success in your event. 1. Any fundraiser being held in Testicular Cancer Awareness Foundation’s (TCAF) name must pay 100% of proceeds to Testicular Cancer Awareness Foundation. 2. A full copy of all income and expense records for any event must be provided along with all income from the event within 30 days of the event’s conclusion. 3. To use TCAF’s name or logo in any marketing material, you must have written approval of each proof. Send proofs for approval to info@testescancer.org. 4. All donation checks must be made out to TCAF. Any cash donations must be accompanied by the Cash Donation Form. 5. Do NOT accept checks made out to you. If someone mistakenly makes a check out to you, please endorse the back and write “Make Payable to Testicular Cancer Awareness Foundation” under your signature, then send to TCAF. DO NOT deposit into your account, the government will look at this as taxable income. For donors to receive a tax receipt and deduction, checks must be made out to TCAF. 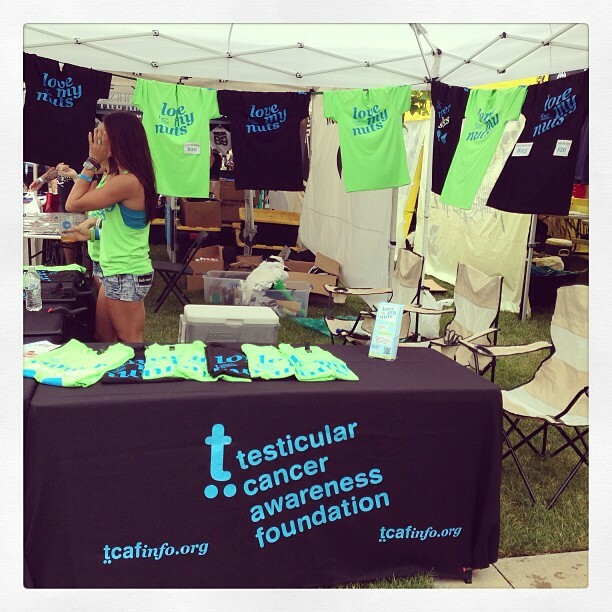 Testicular Cancer Awareness Foundation will provide tax receipts to all donors when the checks and accounting records are received from your event. 6. ALL PROMOTIONS OF YOUR EVENT MUST SPECIFICALLY STATE, IN A CLEAR, UNAMBIGUOUS AND READILY IDENTIFIABLE MANNER THAT 100% OF PROCEEDS WILL GO TO TCAF. 7. TCAF will not pay for any fundraising costs and will not be held liable to any 3rd party for costs associated with any fundraiser.